You can set up your predefined smart rules in desk for the chat transcript sent from Zoho SalesIQ on Chats and Missed chats. All attended chat transcript will be addressed with the subject line “Chats :” followed by the visitor question. All missed chat transcript will be addressed with the subject line “Missed Chats :” followed by the visitor question. Login to your Desk admin account. Click on the “channel“ tab. 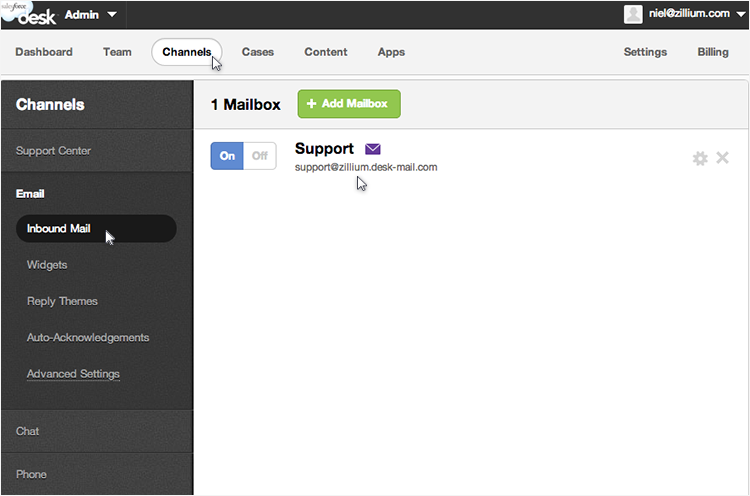 Select the “ Email” Section and click on the “Inbound mail”. Copy the support email address and paste it to Zoho SalesIQ. Configuring your desk support email in Zoho SalesIQ portal ensures all the chats transcript are sent irrespective of department or embeds within your portal. 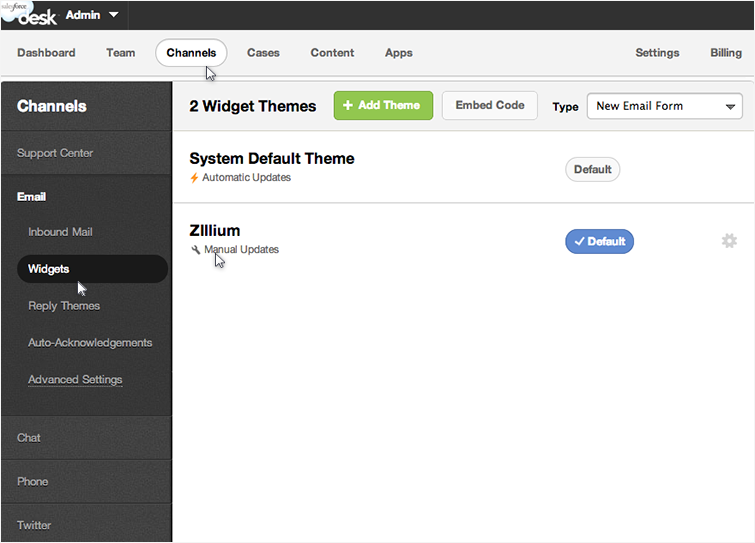 You just have to add your desk support email in the portal configurations of Zoho SalesIQ. Select "Portal Settings", scroll down to the e-mail configuration section. 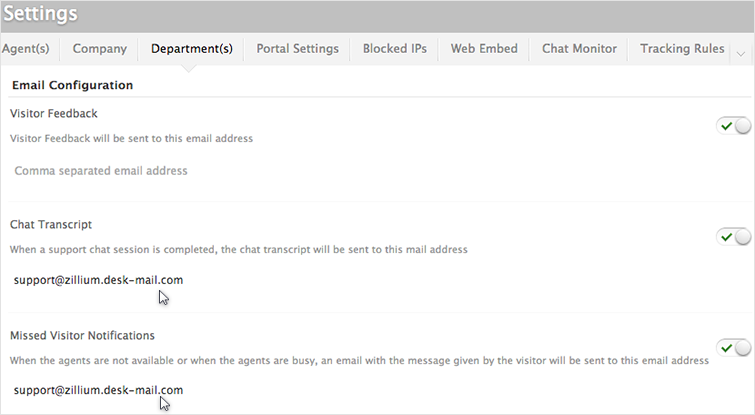 Attended chat - Configuring your Desk support email in “Chat Transcript” will send all the attended chat transcript to your desk. 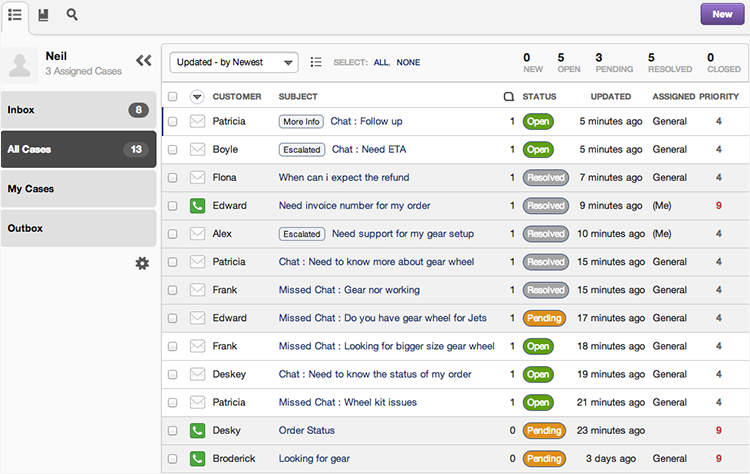 Missed Chats - Configuring your Desk support email in “Missed Visitor Notifications” will send only the missed chats notification to your desk. To organize your Desk operations, and to maximize the ability of your ticketing system, we have created Department based support configurations within our Zoho SalesIQ. This allows you to track the live chat based on departments and assigning it to a specify group of agents for each department, ensuring the right agent answers your every support request. Choose your department, which you like to configure. In the Department Settings section, scroll down to the e-mail configuration section. 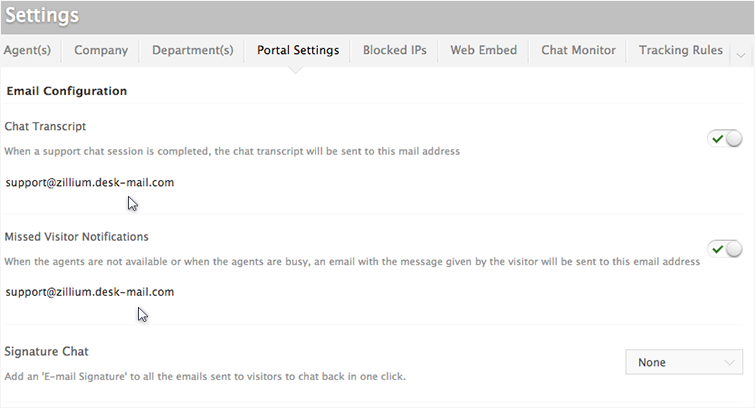 Attended chat - Configuring your Desk support email in “Chat Transcript” will send all the attended chat transcript to your desk from the selected department. 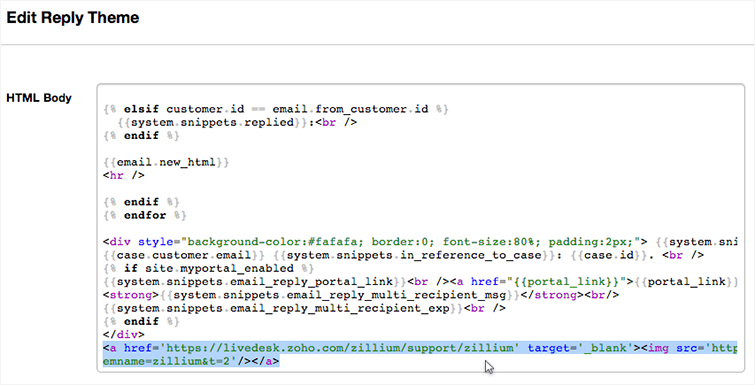 Paste the Zoho SalesIQ signature chat code in the “body” of the html editor, click “update” and select set as “default” to get your new emails added with the signature chat. 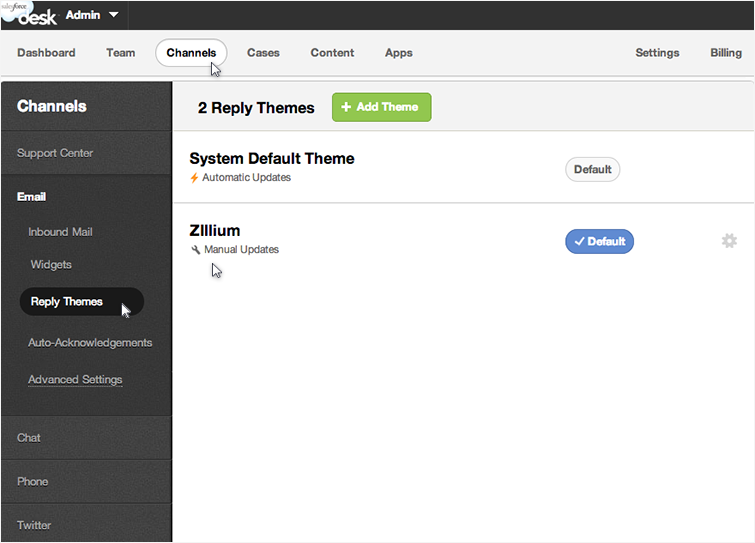 Select the “ Email” Section and click on the “Reply theme” and click on the theme which you like to edit. 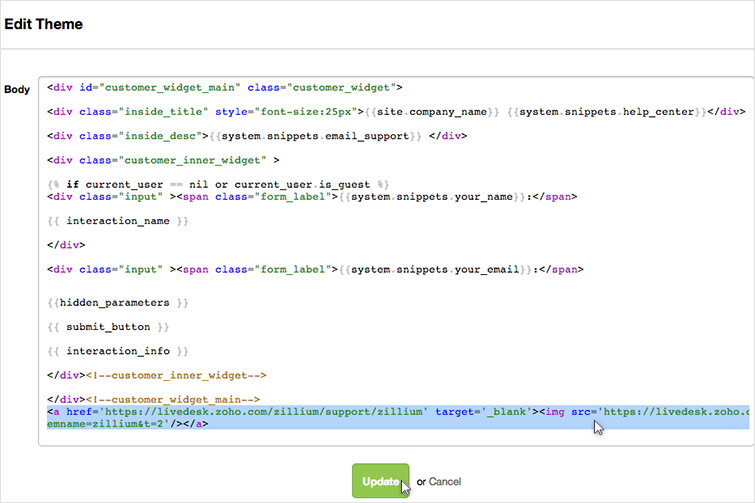 Paste the signature chat code in the “HTML body” of the html editor, click “update” and select set as “default” to get your reply emails added with the signature chat. We give you unique snippet code for each specific Signature chat embed. You just have to copy and paste the "Signature Chat Code" into your right Signature directories, to get the Signature Chat in your mails which you send. In the Web Embed section, click on the name of the Embed you want to take the signature chat code from. Hover over the signature section, and click “Edit”. 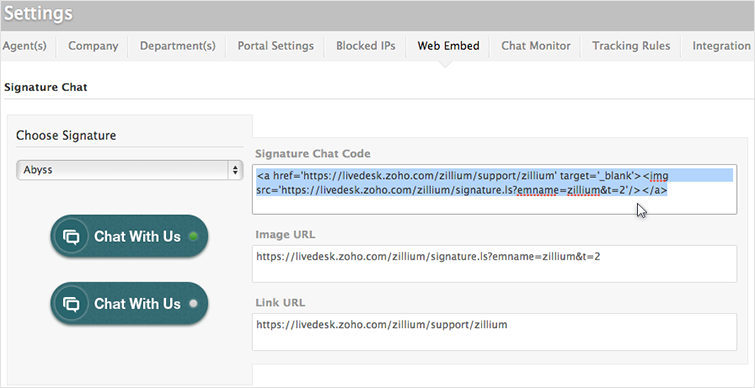 This will enable the Signature chat for your Embed. Scroll down to the bottom section you will find the signature code which you required to paste it in your Email signature directories.